Advanced Data Solutions (ADS) has been serving Florida Government and Commercial customers since inception in 1999. We began with a small group of business partners focused on providing clients an easier way to manage paper and electronic records. Our initial focus on Florida City Government positioned ADS as a leader of imaging technology shortly after the passing of Y2K. Obtaining over 100 Florida Government clients within our first 3 years of business, our company was critical to the transition from old technology (microfilm) to digital archiving within the Florida Government sector. 1999:ADS was established with three employees working from a home / office environment. Software, equipment and other technologies were researched and investment decisions made to launch our new company in the infancy stage of Electronic Document Management. Most of the year was spent on research, development and marketing activities focused on our future market sectors and vendor and partner relationships. Feasibility studies were evaluated which determined Florida Government was the most viable target market for our products and services. During the year, most State and Local Government offices were transitioning from short and long-term records storage in the form of microfilm and microfiche. Florida Government was quickly evolving to the more robust practice of Electronic Document Management. During this year, we obtained five clients and established our service bureau offering Outsourced Document Imaging Services within the Alchemy and Other Software Platforms. 2000: ADS grew its customer base to dozens of Florida Cities and Counties. We obtained a State Negotiated Agreement Price Schedule outlining prices well below other competitors. We obtained our first commercial office space occupying less than 800 square feet. 2001: We grew to 15 employees while our client base continued to mature within Florida Government. We became a leading reseller of Alchemy Software and Fujitsu scanners which established ADS as a Premier Partner with both technology leaders. We relocated again to a larger facility occupying nearly 2,000 square feet of office space. Our service offerings increased to Microfilm / Microfiche and Wide-Format Print conversion services. 2002: During this year, production increased to satisfy a work force of two shifts of operation. A significant investment was made in equipment and software to facilitate a growth rate of 200% annually. We partnered with Liberty Information Management Systems and Contex Wide Format Scanning Solutions satisfying the emerging need for both Enterprise Document Management and Wide Format equipment sales. 2003: ADS purchased a 12,000 square foot building and real estate in Oldsmar, Florida (Tampa Bay) to accommodate near and mid-term growth opportunities. Our headcount increased as did our volume. We added Web Hosting Services offering our clients’ reliable internet access to their records within a robust and secure environment. 2004: The hurricane season of 2004 proved to be a learning experience for both ADS and our clients. The benefits achieved during Disaster Recovery Planning further strengthened our reputation as a safe records haven for our many clients. Amidst the excitement of one storm after another, we grew to 40 employees. 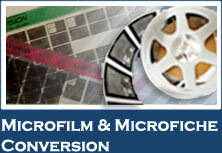 Our microfilm conversion line of business grew to several hundred rolls per month as well. Early in the year, we obtained a State Contract under new rules and stipulations that downsized SNAPS companies from 650 to just over 100. The award of this contract was due to our financial strength, client references and industry reputation. Only a handful of companies on State Contract specialized in records management, ADS being one of them. 2005: Our throughput increased resulting in the conversion of over 30 tons of paper records annually. Our client base spanned the entire State of Florida from the Panhandle to Key West. On average, we converted 500 boxes of paper records per month, not only for Florida Government, but for other emerging markets as well. We established the company as the conversion specialist within the Building and Planning and Zoning departments for Cities and Counties statewide. We were awarded huge conversion projects which kept five wide format scanners and several shifts of employees occupied on a full time basis. 2006: We continued to run three shifts of employees satisfying client demands totaling 50 tons of paper converted annually. We estimate our average box conversion was 700 boxes per month with one deadline exceeding 1,100 boxes in 45 days! While we had many large clients with significant volume and time requirements, we still retained our smaller ones who received the same service as was given years earlier. 2007: During the year, we became a premier partner with Kodak Document Imaging of North America. Several technicians were certified in new capture equipment and software and significant capital investments were made toward these efforts. 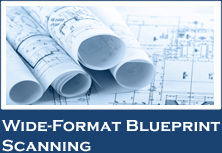 We also invested in wide format technology specializing in difficult color and grayscale scanning. Our focus on this technology resulted in high resolution, wide format color and grayscale scanning achieving minimal file sizes and various file types. ADS continued to be an industry leader and specialist in difficult conversion projects. 2008: ADS recognized the growing need for Microfilm and Microfiche conversion to Digital Format within many industries. 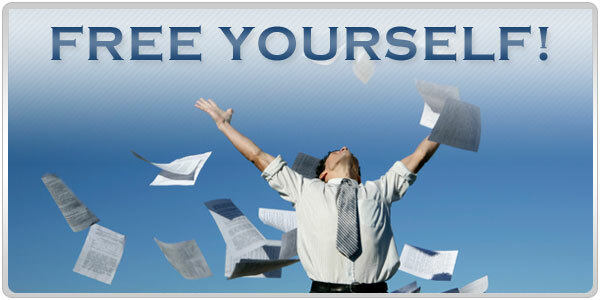 The market demanded the conversion of millions of images as many large paper conversions neared completion. Significant research was done on the limited number of companies which actually manufactured and developed such technology specific to a production environment. We determined Mekel to be the industry leader in this market and The Crowley Group as our technology partner. Offering 100% capture of all filmed frames, advanced image enhancement and virtual rescan technology, our new solution enabled ADS to offer the best microfilm and microfiche conversion services on the market. Thus, we became a specialist in yet another digital service offering. 2009: With the embrace and endorsement of digital technology by both the Healthcare industry and the current Administration, the birth of the modern Electronic Health and Medical Record (EHR/EMR) arrived. ADS formed partnerships with several nationally established EHR/EMR Software Vendors and began developing “best practices” for the conversion of high-volume patient charts. Custom integrations were written to facilitate the mass import of voluminous charts within several leading software platforms. In addition, our specialization extended to the conversion of EKG and Fetal Monitoring Strips, a specialty found sparsely in the US. During the year, we were also awarded a new State Technology Contract extending our existing services to custom programming, interface and other information technology specialties. ADS obtained a State Contract during 2003 and again in 2009 from the Department of Management Services through a rigorous RFP process. There is now a short list of Document Imaging Companies on Florida State Contract. ADS is certified as a Woman / Minority Business Enterprise (W/MBE). We encourage site visits to all current and prospective clients. We scan over 100 tons of paper records and convert millions of Microfilm and Microfiche images to digital format annually. We don’t outsource our Outsourcing! We own ALL our equipment and do not subcontract services. We equally care about our small and large clients. We believe in personal contact, not voicemail. We appreciate the hard work and efforts of our employees. ADS’ commitment to our clients' success remains at the forefront of our strategic purpose. We believe that investing time to understand our clients' objectives is the driving force behind our ability to design and deliver "best of breed" solutions. Our solutions realize an organization's business goals and objectives, using state-of-the-art technology.